With the long, dark cold nights truly upon us and Christmas rapidly approaching, the time is right to be reminded of the importance of making time to check your tyres. We appreciate that you’re probably busy out and about buying presents, meeting up with friends, and generally getting into the festive spirit, but giving your tyres a good once over makes a lot of sense. After all, if your tyres aren’t at their best, and you’re unable to drive, how are you and your loved ones going get around this Christmas? 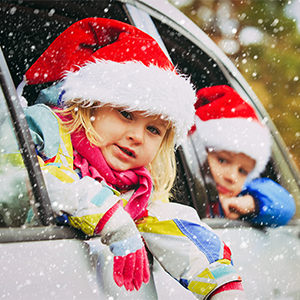 Here are some top tips to help ensure you stay safer on the road this festive period. 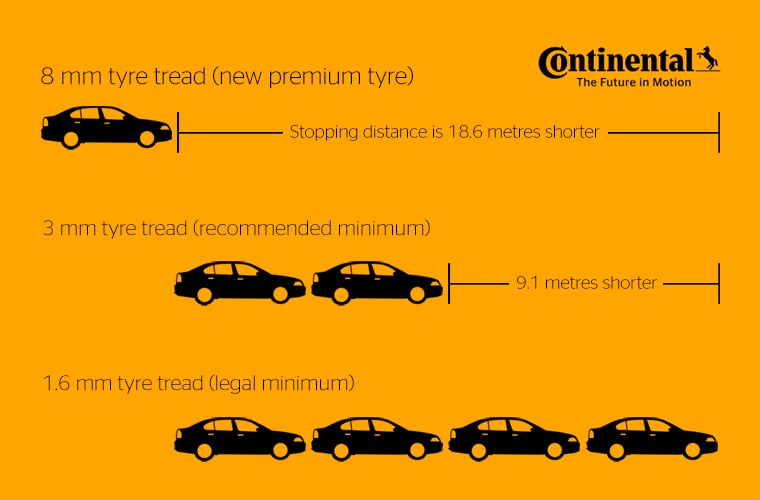 Many tyre professionals, including the team at Asda Tyres, and leading premium tyre manufacturer, Continental, recommend that the tyres fitted to your car have at least 3mm of tread depth. Why? Because the more you have, the better your grip will be, especially in the wet weather conditions we typically experience in the UK at Christmas time. It’s these vital tread depth grooves that expel water from between your tyres and the road surface, delivering the grip you need to keep you safer. The more you have, the shorter your stopping distances will be – even more essential at this time of year. If your tyres don’t have at least 3mm, remember that the UK road legal minimum is 1.6mm of tread depth. If they don’t have this minimal level, they’re illegal. Don’t forget, at this time of year there’s an increased police presence on the roads, as they step up their hunt for drink driving offences. If they pull you over and you’re driving with illegal tyres, you’ll incur a fine of £2,500, and three points on your licence for each offending tyre. You can avoid this possibility by ensuring your tyre tread depth is legal very easily. Either get a tread depth gauge or do the “20p test”. All you have to do is place the coin in your tyre tread at multiple points along its length. If the outer band of the coin is visible at any point within the grooves, it means the tread isn’t deep enough, and in all likelihood illegal. Alternatively, fit Continental premium tyres, all of which come with TWIs – tread wear indicators – at both 3mm and 1.6mm (series 5 tyres and above). Your tyre pressures are essential for safer driving, especially during the cold, wet weather we typically get in December. And like tread depth, if your pressures aren’t correct, your tyres won’t be at their optimum, and you’ll be more likely to have an accident – and nobody wants that at Christmas time, do they? Having the right pressures helps ensure an optimal contact between your tyres and the road, and that means better grip. If your tyres are incorrectly inflated – either under or over – they simply won’t be able to perform as well. Checking your tyre pressures is easy. You can do so yourself at a local garage, as well as service stations, for a small fee. Alternatively, you can get your local tyre fitting centre to take a look – they’re happy to help and can offer you experienced, impartial tyre advice. If checking pressures yourself, simply remove the dust cover from the valve and attach the air hose nozzle to your tyre. Then, top up or release air as appropriate, until the pressures are correct for all wheels. You’ll typically find the correct tyre pressure values for your vehicle either printed on the inside of the driver door or printed on the inside of the fuel cap. 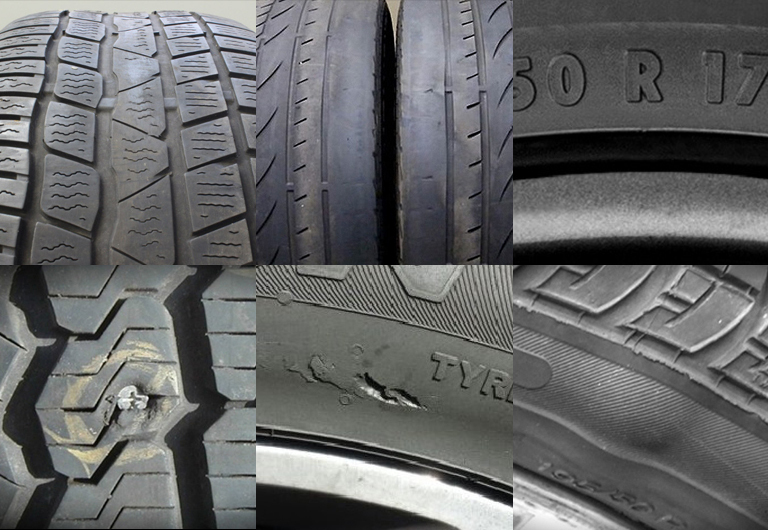 It’s worth remembering that many retailers – including those that sell tyres – will probably be closed for part or all of the festive period. It’s should come as no surprise since, like you, their employees want time off to celebrate with their friends and family, too. As such, if you find yourself urgently needing a replacement tyre in this period, you may well struggle to get one. As a result, your travels plans could be thrown into chaos. The thought of missing family gatherings, and the ensuing fallout – screaming kids, angry partner, general disappointment – doesn’t bear thinking about, right? How best to avoid this unnecessary risk? Simple – regularly check your tyres for any signs of damage, and minimise the risk of sustaining a slow puncture, rip, tear or blowout. There’s also the very real danger of experiencing an accident if you drive on damaged tyres. Cold, wet, often slippy roads only exacerbate your chances. By checking your tyres for signs of damage, you increase your chances of nipping potential problems in the bud, before they become serious – and life threatening. No one needs reminding of just how cold it can get in the UK at Christmas time. It can get pretty parky, right?! And with the possibility of rain highly likely, that means the threat of ice, too. Your usual summer tyres simply aren’t designed to perform at their best in temperatures of 7°C and below, since the compound that they’re made from is formulated for warmer conditions. That’s why some tyre manufacturers, like Continental, offer drivers winter tyres. When the temperature is settled down at 7°C and below, you’d be wise to switch. Why fit winter tyres? Because their compounds are specially made to deliver optimal performance at low temperatures, providing drivers in the know with the essential grip they need to stay safer on UK roads. You only have to recall the news footage on TV of cars unable to grip the road, and sliding uncontrollably, to realise just how quickly the best laid Christmas travel plans can be dashed. Many UK drivers make the common mistake of thinking that winter tyres are only meant for driving in snowy conditions. This simply isn’t true. While there’s no doubt that they’ll perform much better on snow than summer tyres, the reality of switching to winter tyres comes down to one important reason – temperature. It’s why so many drivers in mainland Europe fit winter tyres every year – and it doesn’t snow there all of the time, does it? 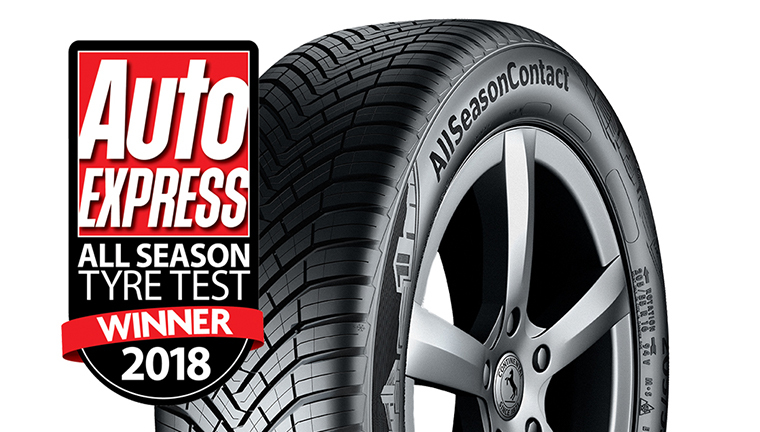 Winter tyres, like Continental’s award-winning WinterContact™ TS 860, are very popular over there, and also very highly regarded by independent tyre experts over here. 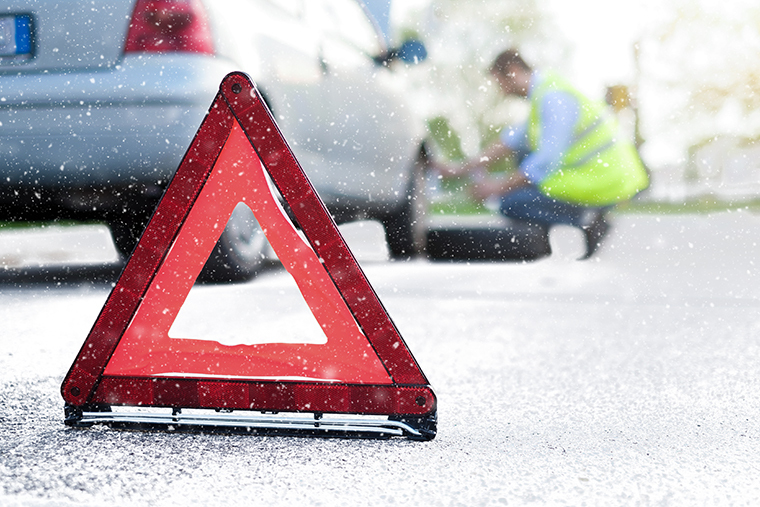 Another alternative to summer tyres during the Christmas period is all-season tyres. This relatively new option is a hybrid of summer and winter tyres, offering some of the qualities of the warm and cold temperature versions. They’re good, but not the best of both worlds, since one compound can’t completely do the job of two, but – for driving in cold temperatures – tyres like Continental’s award-winning AllSeasonContact™ will perform better than your summers. It should come as no surprise, since only Continental knows the entire braking process – from pedal to tyre. Don’t forget, your car, SUV or 4×4 probably has five tyres, not four. Everything we’ve covered here also applies to this (often life-saving) tyre too. If you look after your spare tyre, your spare tyre will look after you.